Architect for the team replacing/upgrading the existing artificial turf football/soccer field and synthetic surface track. RED was also responsible for location, design and installation of the temporary restroom facilities and upgrades to the parking lot, both to comply with current DSA and ADA standards. RED handled all DSA processing for the project. The A&E Team fast-tracked the project, working closely with the Campus Construction Team to create the upgrade plans and schedule so that construction could begin at the commencement of summer break. 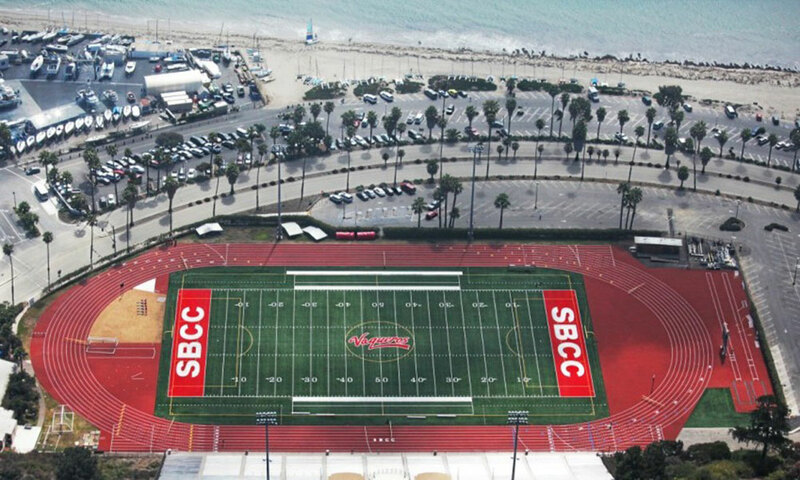 All deadlines were surpassed and the field was completed ahead of schedule, allowing the football team to host their first game of the season on the spectacular new synthetic turf field.